Noor Hazilah Abd Manaf is an Associate Professor at the Department of Business Administration, International Islamic University Malaysia. She obtained her Mastera? ?s and Doctorate degrees from University of Malaya. She specialises in research on healthcare management, quality management and public sector management. Dr Noor Hazilah is actively involved in research activities and she has won Gold medal for two years running for the IIUM Research, Invention and Innovation Exhibition for 2011 and 2012. She was also the recipient of the Universitya? ?s Quality Research Award for 2012. Her research ... show more on patient satisfaction also won the Best Paper Award at the 10th International Conference on Quality Management and Organisational Development organised by Lund University, Sweden. She has presented papers at international conferences and published on diverse health related topics such as patient satisfaction, quality management in healthcare, medical education and training, and medical tourism. As for research in quality management, her main areas of interests are lean, service quality and six sigma. Dr Noor Hazilah reviews regularly for international journals such as The TQM Journal, Leadership in Health Services, International Journal of Quality and Service Sciences, Current Issues in Tourism, Tourism Management and Measuring Business Excellence. In 2014, she was awarded the Best Reviewer Award by Emerald. Presently, Dr Noor Hazilah sits on the Research Review Board of the Institute of Health Management, Ministry of Health Malaysia and has served in administrative capacities as Deputy Dean for Postgraduate and Research; and Deputy Director of IIUM Graduate School of Management. 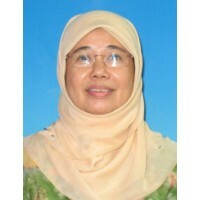 She is also a board member of IIUM Lower Education Sdn Bhd, a holding company of the University. 20 February 2013 IIUM Research, Invention and Innovation Exhibition 2013. International Islamic University Malaysia - University level. 28 March 2012 Quality Award. International Islamic University Malaysia - University level. 22 February 2012 IIUM Research, Invention and Innovation Exhibition 2012. International Islamic University Malaysia - University level. 10 February 2011 IIUM Research, Invention and Innovation Exhibition 2011. International Islamic University Malaysia - University level. 20 June 2007 10th International Conference on Quality Management and Organisational Development. Lund University, Helsingborg, Sweden - University level.